How to become a member of InstaForex PAMM system? After your trading account has been opened, log in to Client Cabinet and click on the "PAMM system" menu option on the left. Then choose whom you intend to act as − investor or trader (you may as well open two accounts a PAMM investor one and a PAMM trader one); specify your personal information that shall be transferred to your investors and managing traders for them to contact you if needed. Personal information is totally secure and shall only be visible for those who invested funds in your account or accepted an investment from you. After filling out the PAMM system application form in Client Cabinet, you become a folly-fledged member of InstaForex PAMM system. Depending on which function you have chosen (trader or investor), you can accept investments or invest funds in accounts of other traders which are displayed on the Monitoring page of InstaForex website and in the Monitoring section of Client Cabinet. Traders, your investors are already looking for you in the PAMM monitoring list! Investors, hundreds and thousands of traders are ready to accept your investments of any amount: from 1 to hundreds of thousands of US dollars! 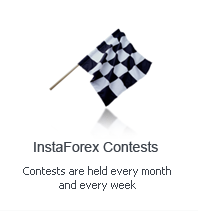 Welcome to InstaForex system of PAMM accounts!